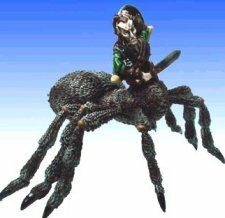 Colonel Marbles Miniatures Masterworks NOVEMBER 2002! 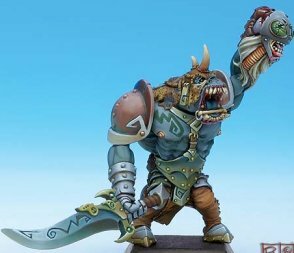 Here are the November Rackham Confrontation releases. The 'Ashantyr' figure (middle bottom row) is a 5,000 figure limited edition I think - not sure how you get hold of it. Typical. Nicest one in the lot is a limited - nobody knows how to get - edition. - WK. Wot no Orques? Nor even a Goeblin? Finally something new for Crocodile's 'Aeygptus' line ! 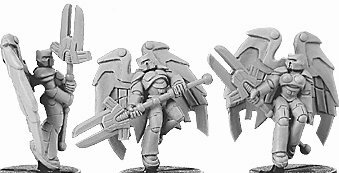 Nice figs, I do like the human champion/overseer. - Doc. 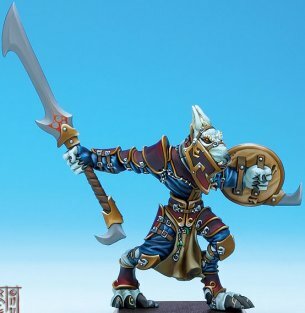 Some hot off the press new Celtos Elf figures. £5 for 3. Not bad at the price. Less than 2 quid each? Bargain. Not too fond of them. 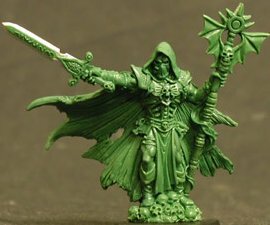 I liked the first few models better. Some nice new re-releases from RAFM - a Spiderlord and a Cthulu monster.. 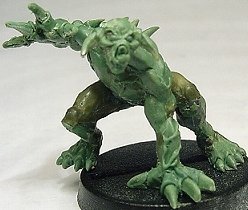 Sometimes there's nothin like a classic mini..
More tremendous new figures from Foundry - boy are they back with a bang ! 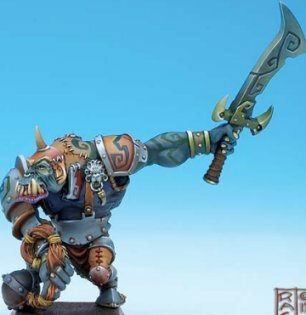 Yeah, I'm liking them new orcs. 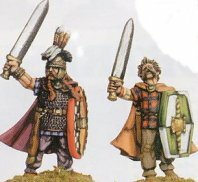 Less flamboyant than their Great Orcs with a more 'traditional' (GW?) feel but still bags of character and nice figs. Whats the price tag though, 4 for a tenner with a shiteload of rammage I don't want or summat equally as ludicrous? 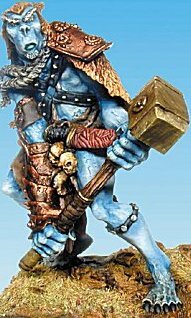 The German Armalion range have these 2 cool 'Snow Trolls' out. These figs are much better quality than a lot of the rest of their range IMO. Interesting. 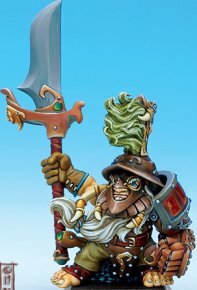 They got a sorta 'Rackham' feel to em doncha reckon? Yea, definitely been taking some hints (if not sculptors and painters)! Got a nice feel of their own too. They do appear at first glance to have their own fishman selection too, the Charyptiden (servants of the night-blue depths, apparently) though on closer inspection it turn out to consist entirely of pirates, a very bizarre lobster-man ( http://www.fanpro.com/miniatur/19319-20-15.htm) plus a couple of lizardmen. These are cool. They look kind of long in the face, don't they? Like their days in the snow are giving them seasonal depression. - Jason. New figures from I-Kore for VOID. 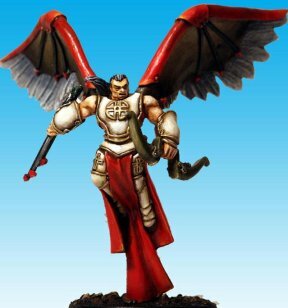 They seem to be making shedloads of these winged dudes lately - must sell well. I kind of like the wings on these. They should make them available seperately for conversion purposes. 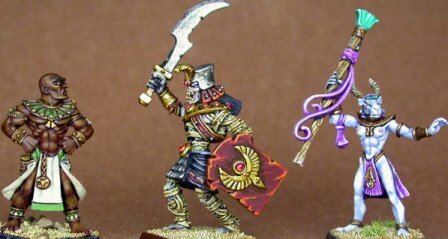 The Fantasy figs remind me a lot of old Heartbreaker minis. 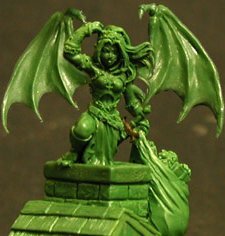 Nice, but unfortunately, sculpting style has developed somewhat since those days. Not up to current standards, I'd say. 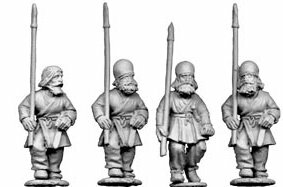 Still, if they use the same pricing structure as their historicals (rather than adopting an inexplicable 'fantasy tax' on the fantasy figs) they'll represent great value. 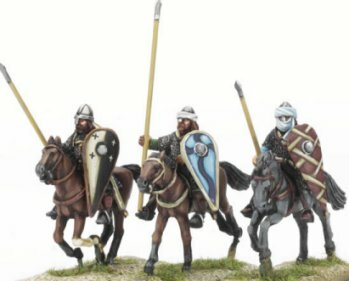 Today its a great (if large, sorry) pic of the new Gripping Beast Celts. Don't apologize for large pics. The bigger the better. - Jason. 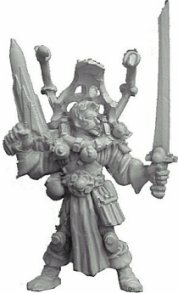 Some new 'Elite Orques' from Rackham Confrontation. 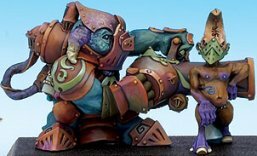 Cobalt (Westwind) personality figures. I'm really digging this range, after a dodgy start. Yeah, love the bloater with the whip. 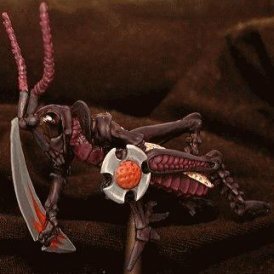 A couple of new Insect-type figures from those nutters at Hundred Kingdoms. No really doing it for me. 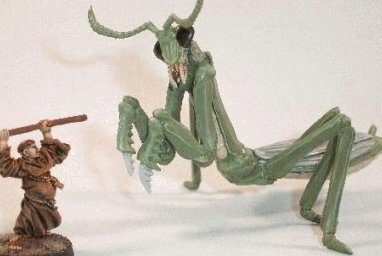 They just look a bit too much like actual insects, you may as well just get some rubber insect models and convert 'em. Bumper crop of goodies today ! 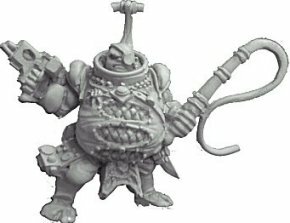 Here's some more red-hot figures from French maestro's Rackham Confrontation - those guys must be working round the clock at the moment..
What the feck's that big bellied barrel carrying gobbo thing then? Still, who cares, gotta have me one of them (sure I can come up with some suitable rules to accomodate it). Some new Reaper greens, including the first festive figure seen this year... .
Best festive figure I've seen in ages. Beats a bigbearded old fat guy on any day, I'd say. Greetings Marbles fans ! I think you'll agree that this month is turning out to be an all-time great one for fantastic new figures. 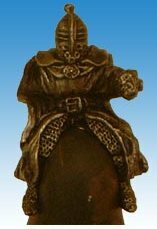 Here's some of the latest precasts from Foundry, with a first glimpse of a set close to my heart, the Sassanids. No cavalry yet, but the infantry look real good. Those Aztecs are looking juicy too. All this and news that Vendel will soon be releasing a large collection of Wood Elves - my cup runneth over (and my wallet runneth out)! 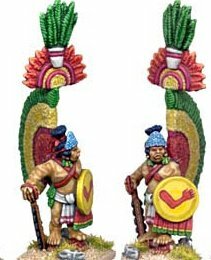 Wow, look at those Aztec 'standard bearers'! Cool! 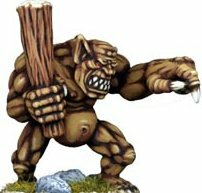 Renaissance orcs aren't my bag (but good luck to 'em I sez)... can't help thinking this example is a bit malproportioned. Even for an orc. Yes I have to agree the Aztecs are looking very good!! 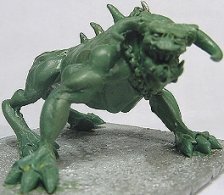 I am definitely not sure about the Orc Queen, see looks a bit too well er... I dunno really what is it about this I don't like..... Its the colours and clothes - too over dressed. Odd concept that - Orcs and feudalism? very strange I thought Orcs were to anarchic for that level of social organisation?? Or am I being ethno-centric with my Vermen leanings? 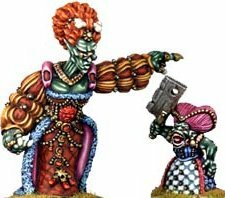 Not too keen on the Orc Queen. Just a bit too OTT for my tastes (ignoring the price tag). 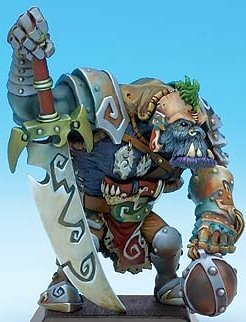 I'm liking the new War Orcs alot, nice little squat fat fellahs, simple and not over done like alot of the Great Orcs, with bags of character. But to interject a note of negativity - 4 figs for £8.50 ?! - they're 'avin' a larf. Quite frankly, they can be the best figs in the world but for that kinda piss take price they can stick up their arse. 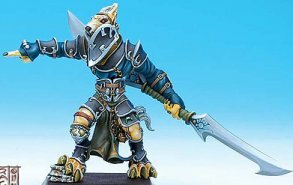 I know its something that causes endless debate, but what the hell is it with some of these figure manufacturers and their pricing policies of late. I mean, I'm all for a fair price for a fair bit of work, but its just way out of hand to charge over 2 quid a figure when other manufacturers produce figures of equal quality for less than half the price. These are excellent, very good indeed. Today we have some new(ish) releases from Shadowforge - some Nun Cheerleaders, a Dwarf referee and a Manga Babe. One of those Cheerleaders looks like a mate of mine's girlfriend!!! 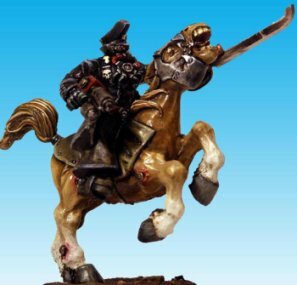 Griffin Miniatures are a new 28mm historical manfacturer. Present ranges are 'Crusaders' and 'Huns'. (Another good find by super-spy WK !). Only trying to earn myself another promotion.. 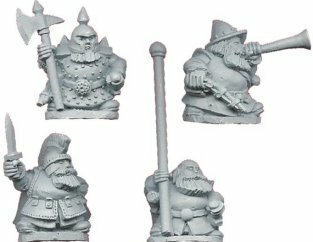 Here's a new command pack for Crusader Miniatures Dwarf Adventurers. They've got a kind of 'town watch' look about them, makes a nice change from more 'upmarket' command sections. As usual, very Foundry-like. But nice. 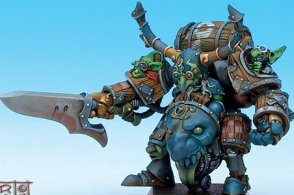 Big news about 'Warmachine' today - they have a limited number of boxed sets available -see their website for details and more new miniatures ! Figures are looking good !! Yeah, we discussed that first time round didn't we? The bird with the big 'mer looks quite tasty. 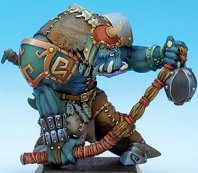 Flagship Games have these, er , novel, 28mm sea monsters figures out now ! Hm, I suppose the sea dragon might paint up ok... er.... I'd need to see that before I believe it though. You can see more closeups at the website. The kraken is quite good though. Not much to it (though it is 4 inches tall), but well realised. 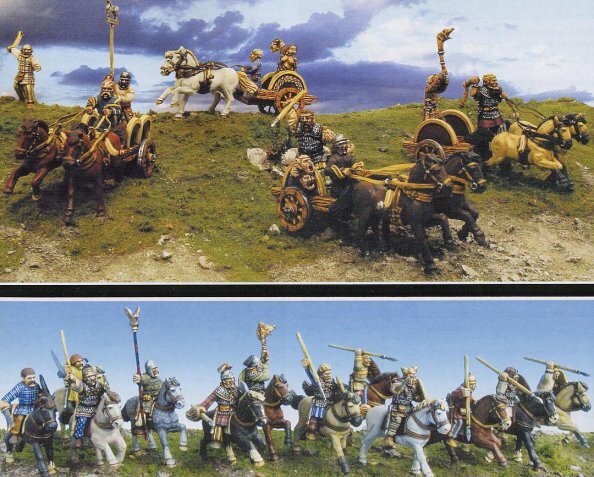 Useful for fantasy sea battles in 15-28mm scale or, um, recreating the encounter at the doors of Moria? Might look alright painted up - I quite like the kraken esp. 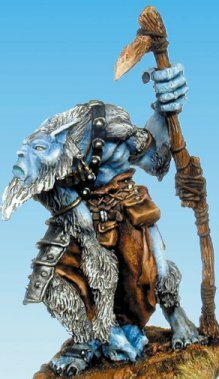 Novel and useful too perhaps for the odd fantasy warships type game (no names mentioned) or even as denizens of watery terrain for fantasy battles. Reckon it'd be quite a laugh and be a nasty surprise, summon up one of these (esp. 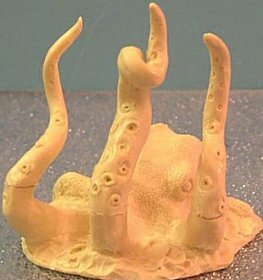 the Squid) just as some crack troops are fording the river. At that price they have to be kidding - is it an early April fool??? Really very unconvincing I have to say! Before I could be pushed into buying either of them I would definitely like to see what sort of potential they offer for colouring. Jeeze, didn't realise they were that much. Thats a tad pricey for a resin isn't it? I've suddenly gone off em. 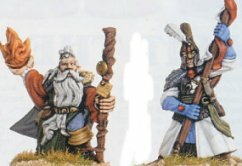 Here's a couple of new Heresy greens, well up to the usual standard. Reminds me of the gargoyles in Ghostbusters, I hope theres a couple more to make a little brood. 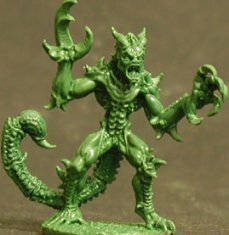 Nice demonic horde type stuff or suitable fodder for bazzer's mutant army. The warped pit bull type one I especially like. A couple of new releases for Cell Entertainments '1999' line. 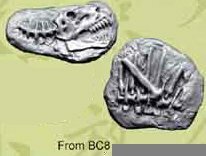 Those fossils are well funny, I suppose a harsher critic would look upon them as ramage, but we love Mr Coppley so much we don't even care!